Affectionately known as “The Mother of Presidents,” Virginia is also home to some amazing fishing. The fly fishing Virginia is known for draws in anglers from all over the country every year. 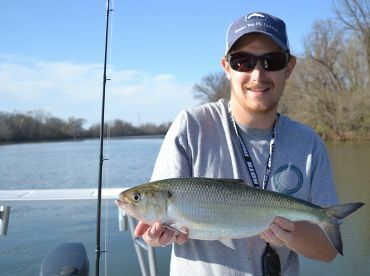 It’s varied enough to be fun for fly enthusiasts of all skill levels, but also has some real gems for the pro anglers. From Chesapeake Bay to the Blue Ridge Mountains, it’s tough to find more varied freshwater fishing in this part of the country. 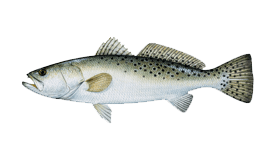 Virginia’s main freshwater fishing attraction is undoubtedly the Trout action. With Trout streams, ponds, and lakes stretching for more than 2,900 miles, there’s more than enough fish to go around. Should you get tired of all the Trout (if that’s even possible), Chesapeake Bay is waiting for you with all the Striped Bass you could ask for. For saltwater fly anglers, the answer is pretty simple – hit Chesapeake Bay and fish until you drop. 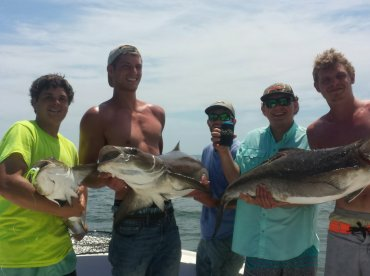 Stripers, Redfish, and others will keep you very busy. Freshwater anglers will have a harder time deciding where to go, due to the sheer abundance of great locations around here. Below you’ll find some long-standing favorites among the fly fishing crowd. Whitetop Laurel Creek is located very near to the aptly-named town of Troutville. Filled with native Brown and Rainbow Trout, it’s one of the most popular fly fishing destinations in the state. 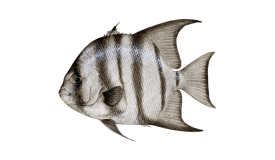 This means the fish are well-acquainted with a whole variety of flies used by anglers, so you’ll need to bring your presenting skills to bear. Those that do will be potentially rewarded with trophy Browns, as well as Rainbow Trout that can grow up to 14 inches long. The Clinch Mountain ridge covers parts of both Virginia and Tennessee, and its main fishing hotspots are Laurel Bed Lake and Big Tumbling Creek. The lake is perfect for beginners because it’s big, shallow, and calm. Big Tumbling Creek is the exact opposite, with roaring waters recommended only to more experienced anglers. Shenandoah National Park stretches over 200,000 acres of wilderness, including a number of freshwater hotspots. The local waters are teeming with Brook Trout, especially during Spring when the Trout start going on a feeding frenzy. Shenandoah River isn’t a place where you’ll be hooking trophy-sized fish all day long, but it’s still a great option for world-class fishing in a breathtaking environment. 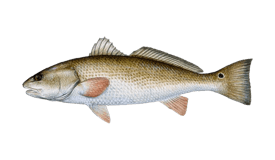 The biggest estuary in North America is home to some of the best saltwater angling in Virginia. Fly fishing is especially well represented in places like the Susquehanna Flats, and you’re sure to find a plenty of Striped Bass at any time of year. The locals will call them Rockfish, so don’t get confused. Rockfish is hardly the end of it, though. 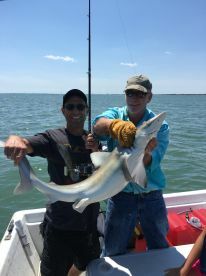 The western part of the bay is full of creeks and marshland where you’ll easily find Bluefish, Weakfish, Speckled Trout, and more. It’s a great option for wading and casting flies all day long. Fly anglers in Virginia will be just fine in most freshwater fisheries with a 7–9’ rod in the 6 wt range. Saltwater has its own rules, and you’ll most likely need to go heavier than just a 6 wt. This goes double if you’re planning on going after big Stripers. A 20 wt rod is the bare minimum for anyone tackling Striped Bass in the Chesapeake Bay. When it comes to the choice of flies, it helps to find a hatch chart that can give you a rough idea what to prepare for the time of year you need. As the old saying goes, match the hatch and you’ll get the catch. Of course, nymphs will never go out of style in most freshwater hotspots, while streamer flies will be your main ally in the fight against Rockfish. Trout fishing in Virginia is good all year long. That said, summertime freshwater fishing is a bit more difficult thanks to the annual low flow. 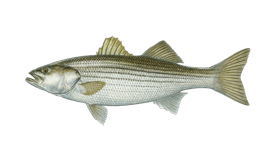 Striper fishing in Chesapeake Bay doesn’t start until April, be sure to keep that in mind when planning your trip. Just like Virginia itself, fly fishing here is a pleasant experience impossible to recreate anywhere else.